KELOWNA, B.C. 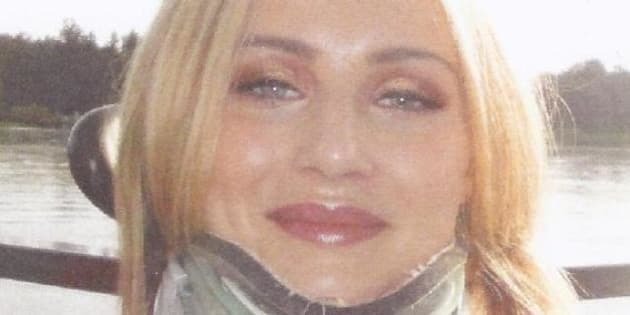 - A woman paralyzed in a shooting that killed one of British Columbia's most-notorious gang leaders claims in a lawsuit she wasn't aware the people she was with had links to crime, despite years of headlines documenting a bloody gang war and warnings from police that anyone associating with Jonathan Bacon or his brothers were putting their lives at risk. Bacon was fatally shot Aug. 14, 2011, outside the Grand Delta Hotel and Resort in Kelowna during a daylight attack that also wounded two other gang members and two women. One of those women, Leah Hadden-Watts, has filed a lawsuit in B.C. Supreme Court, targeting Jujhar Singh Khun-Khun, Jason Thomas McBride and Michael Kerry Jones, the men charged in the shooting, as well as the hotel for not providing enough security. The lawyer representing Hadden-Watts, Angela Rinaldis, said the lawsuit isn't about whether Hadden-Watts should have known better. "The claim is limited to her injuries and to the parties involved and what duties and responsibilities they had and so that's what our focus is," Rinaldis said in an interview. Police have said Hadden-Watts and the other woman were inside an SUV with Bacon, full-patch Hells Angel Larry Amero and James Riach of the Independent Soldiers gang when another SUV pulled up alongside it and opened fire. A bullet entered Hadden-Watts' neck and severed her spinal column, according to her statement of claim, leaving her paralyzed in both legs and most of her upper torso, and partially paralyzed in her arms and hands. The lawsuit claims Hadden-Watts had no idea the people she was with were connected to B.C. 's violent gang world. "Unbeknownst to the plaintiff, one or more of her acquaintances were involved in gang-related activities," says the statement of claim, filed last Wednesday. Bacon and his two brothers, Jarrod and Jamie, were alleged to be at the centre of a gang war that saw near-daily headlines about shootings throughout the Vancouver-area in 2008 and 2009, many of them fatal. The violence prompted the police in Abbotsford, where the Bacons lived, to take the unusual step of issuing a public warning that friends, family members and other associates of the brothers were at risk. Jonathan Bacon was the eldest of the three brothers. Jamie Bacon is facing trial for conspiracy to commit murder in relation to a case known as the "Surrey Six" murders in October 2007, when six people, including two innocent bystanders, were found dead in an apartment building in the Vancouver-area suburb. On Monday, that case, scheduled to begin next month, was moved from New Westminster to Vancouver. The Bacons' middle brother, Jarrod, is serving a 12-year sentence on drug trafficking charges. The allegations against Khun-Khun, McBride and Jones have not been proven in court, either in Hadden-Watts' lawsuit or in their criminal cases. The lawsuit also targets the owner and management of the hotel where the shooting took place, naming the B.C. Investment Management Corp. and Gateway Casinos and Entertainment Ltd., as defendants. The statement of claim says the hotel should have had extra security in place because, the document says, casinos are a magnet for criminals. "The hotel knew and approved of the operation of the casino that was attached to the hotel premises, and as such knew or ought to have known that the operation of a casino brings an increased risk caused by the predictable presence of criminality and gang members who regularly frequent casinos," the statement says. "The defendant hotel did not meet its duty of care by failing to employ additional security personnel and failing to install security devices such as closed-circuit TV cameras to protect hotel guests and casino patrons from the increased risk arising from the attached operating casino." Rinaldis said each situation is unique and she said her client will be asking the court to look at whether, in this circumstance, the hotel acted "reasonably, given the parties that were involved and the type of services that are offered there. There's a casino attached there, you have to look at what you have to keep the guests and patrons there safe. "When you're looking at a hotel that has a casino attached, you have to look at what a reasonable person would know, meaning what type of individuals would frequent the establishment and everything that you would be putting in place involving checks and balances to ensure that your patrons who are staying at the hotel would be safe." Before the shooting, Hadden-Watts had recently completed an insurance brokering course and was planning to train as a yoga instructor, the statement of claim says. "As a result of the injuries caused by the bullet, the plaintiff is unable to obtain and maintain gainful employment and will require special medical care for the remainder of her life," the statement says. Rinaldis said her client is "a very lively spirit." "She is doing everything in her power to continue on with her care and she's very focused on her recovery and proceeding on with the goals that she had in her life prior to the incident occurring. But of course, it was a very serious incident. She's currently paralyzed and limited in what she's able to do."